Every business can benefit from having a blog, but in order to consistently put out valuable content you need to have a content writer that saves you time and creates content that’s engaging, draws in attention and provides value to your business. Think of every piece of content as an investment in your business. But before you jump and hire the wrong writer, here’s what you need to look for in the perfect candidate. Your content writer needs to be knowledgeable and skillful, and that’s a given. There’s no room for grammar and spelling mistakes on your blog. In addition to finding someone who has the power of knowledge, you need someone who is passionate about the particular field of work. If you hire someone who knows the technique but isn’t really passionate about the industry, you will have average content that doesn’t stand out to the readers, and brings nothing new to the table. Look for someone who is truly excited about writing about a certain topic. You’ll recognize a writer like that, because he/she will always want to contribute with their ideas and build your business with you together. Overall, you need someone in your team who is just as passionate about your business as you are, as clearly supported in this amazing blog post on how to create engaging content: http://blog.heyo.com/engage-audience-wow-content/. Then there’s the other side of the story. You may have someone very passionate about writing and the industry overall, but they just don’t have the right amount of experience and knowledge for your company. Seek out someone who knows how your particular industry works, so you won’t have trouble along the way with content that’s inaccurate. You want to be able to trust that whatever this writer crafts is going to be accurate, so you come off as a leader in the industry, not just a follower who’s trying to keep up. If you are struggling to find such writers, make sure to create a little quiz next time you schedule an interview. It’s going to help you determine who has superficial knowledge about a certain topic, and who’s in the know. Sometimes you hire a writer, but he ends up not being able to do SEO. When this happens you can always check out best custom paper writing services reviews and find a professional writer to help you with SEO. But that’s a double cost and you don’t want that. Once again, try and test your writer out with knowledge about SEO, and give him/her a little test so you make sure you’re hiring the right writer for you. You can even ask for previous examples or references where he/she had to work on search engine optimization. Because this is relevant for your business, as SEO can help establish you as the leader of the industry and make people find you more easily, it’s a trait that your future writer needs to have. 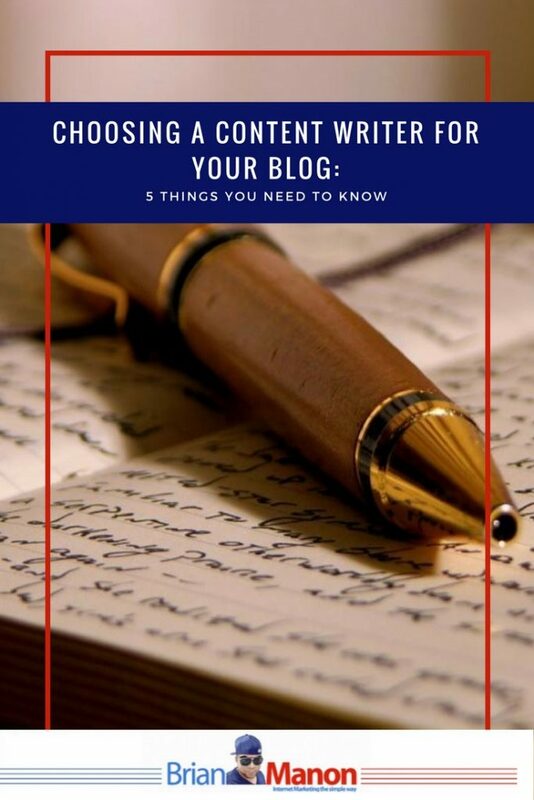 Unless you have someone who’s a guest writer, you’re going to have to pay for a writer who’s going to consistently update your blog with new and fresh content. But make sure that the price he/she costs you makes sense when compared to your profits. Is the content created yielding any results? Are you getting profit? If not, then it’s not the right writer for you. The content you are putting out needs to convert into real leads and sales, and not just serve to make your business page more beautiful. Never go for a writer that doesn’t respect deadlines. Your content needs to come out regularly, and if you have a loyal following they are going to want to know when you are releasing new content. When you create a schedule make sure to consult the writer to see if he will be available to respect it. Your content needs to roll out in due time, and not be late. Creating content for your business can be just as fruitful and detrimental for your company, and it basically depends on your choice of writer. So before you rush into this, take the time to choose the writer that has all of the above. It’s going to be a difficult task, but not impossible, and in the end, investing a little more time in the search process can pay off. Thank you for writing such a detailed description of what we need to look for when hiring a writer for our blog. Perfect timing! I just decided to hire some writers. Thanks for the info. What great tid bits, I’m not there yet, but now I feel confident and knowledgable should I decide to take that route. Choosing the best content issues in proper manner before mentioned course of actions are very much in demand to guide someone in the productive action way. Needless to say each step is the basic part in taking the perfect mannerism in finding the proper approaches to all.